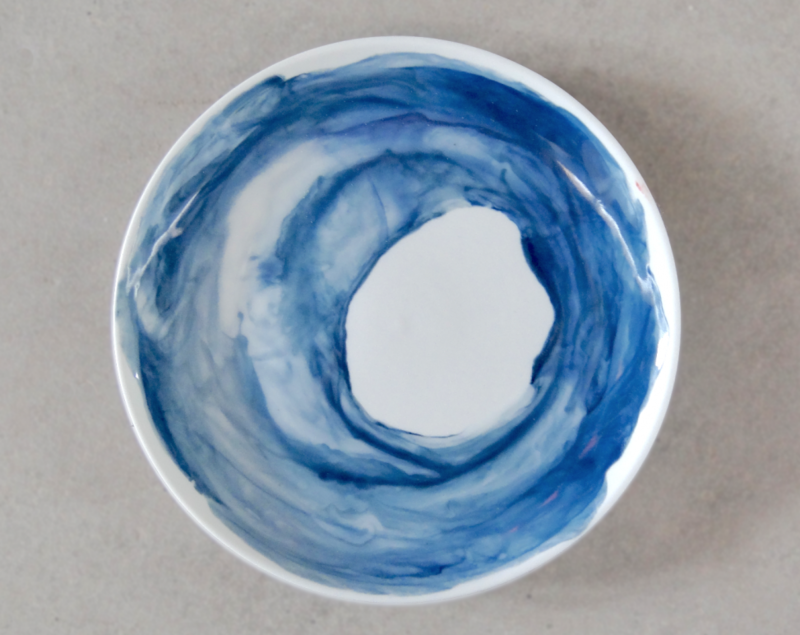 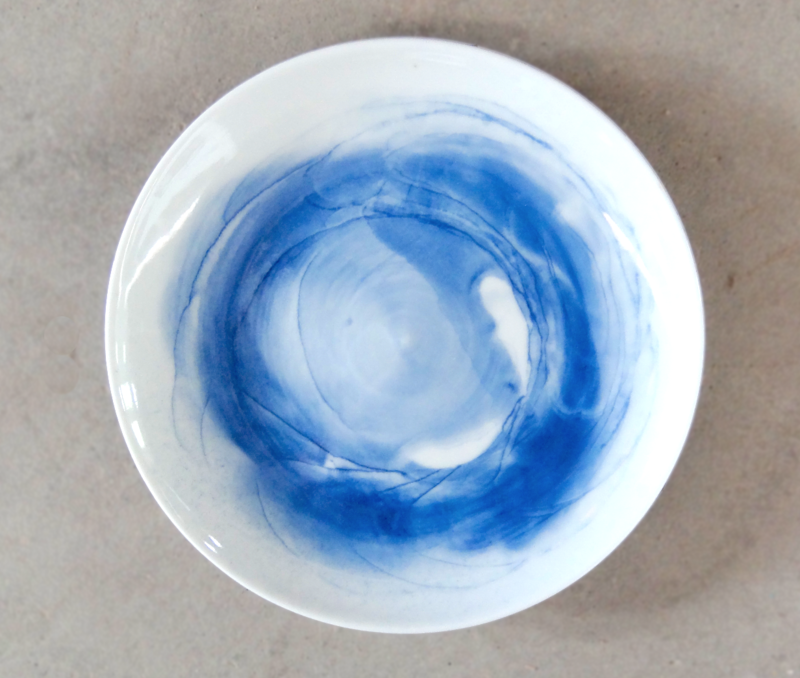 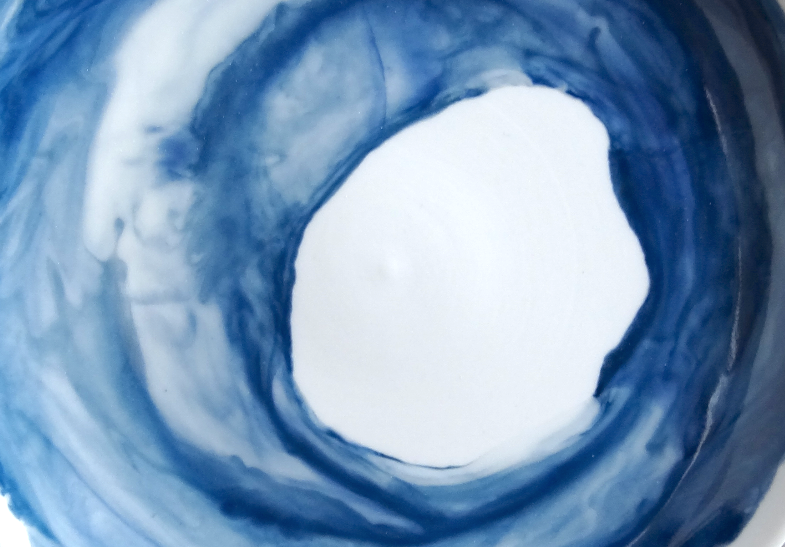 Wash is an experimental test series where the porcelain plates are emerged in water before applying the color and glaze. 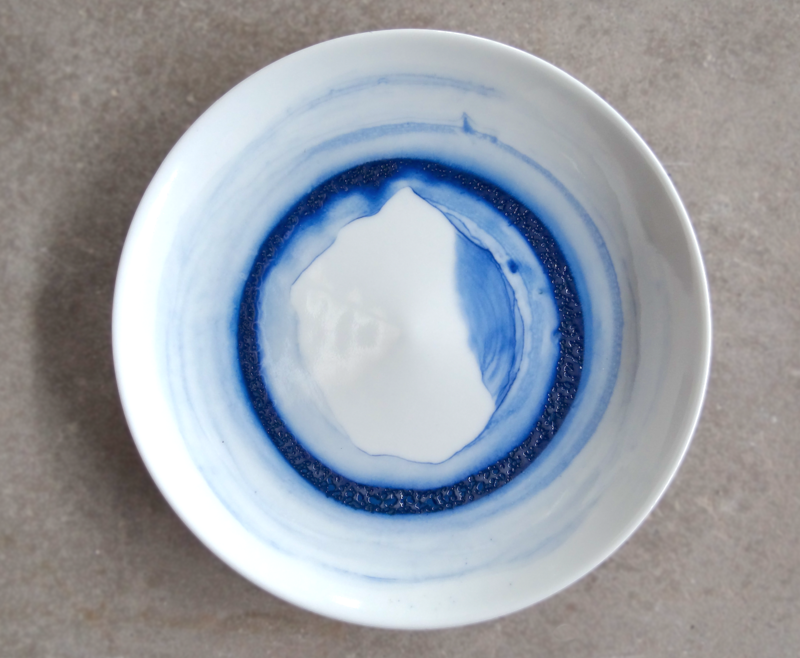 The bisque quality absorbs the water allowing the pigments to attached to the porcelain. 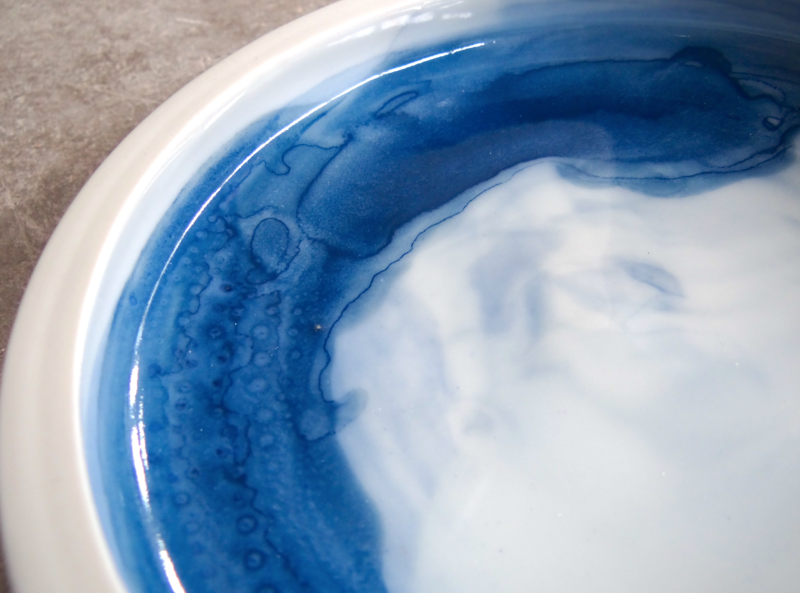 The constant moving and relation with the water created a test series about color flow and movement, using the gestation and application to enhance the glaze intensity.